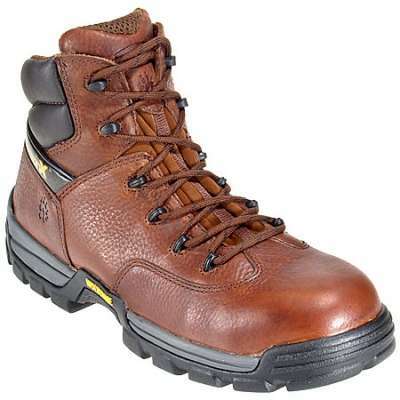 Avenger 7258 – These mid-height, brown Avenger boots have been lovingly crafted with full-grain leather. The crazy horse brown leather looks great and cleans up easily. Full-grain leather is actually very tough stuff that’s resistant to wear, wind and weather no matter how hard you work. 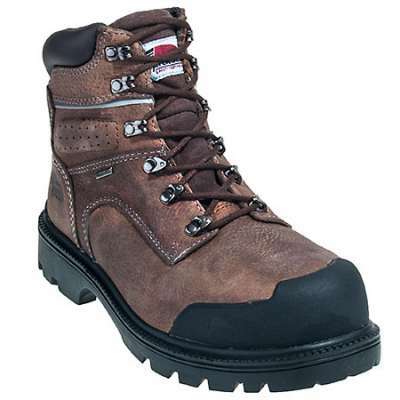 The outside of these steel toe boots is tough and weather-resistant, but the insides are even tougher. Their waterproof bladders keep water away from your feet. That keeps the rain out, but what about sweat? It’s going to happen when your feet are working hard. 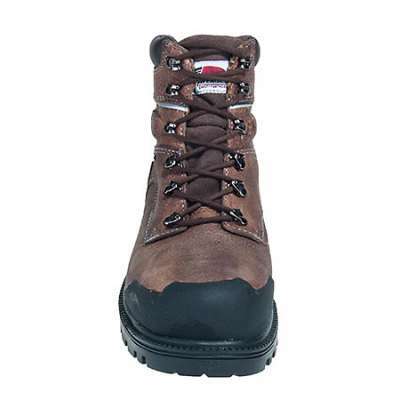 So these waterproof boots are also built with perspiration-absorbing insoles. They’re crafted with two layers of shock-resistant polyurethane in dual-density construction. 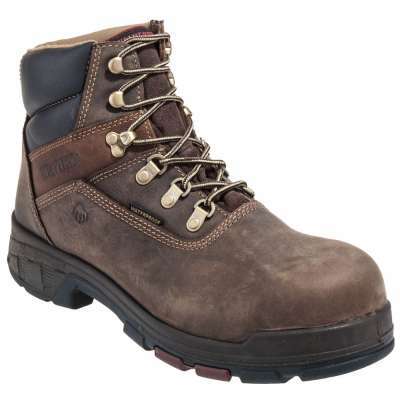 That means impact has to travel through two lightweight cushioning layers of these work boots before it can get to your feet and impact your muscles. Lenzi puncture-resistant plates help guard you against all those dangers you can’t watch out for. The plates protect you against nails and other hazards without compromising natural foot flexibility. 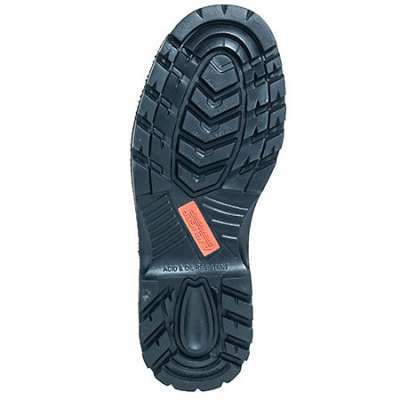 Meanwhile, a bumper toe guard prevents abrasions and scuffs on the front of your puncture-resistant boots. 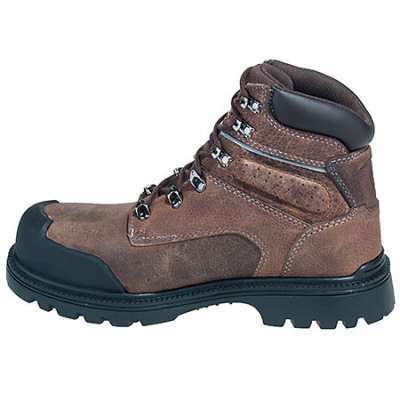 The outsoles of these Avenger boots are made with shock-absorbent rubber in a high-heat design. 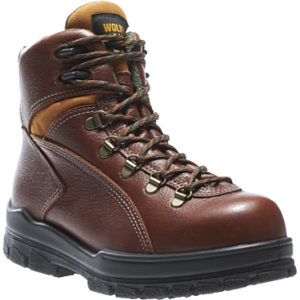 It’ll stay tough even in temperatures up to 600 degrees F. Even the Gore Tenara thread used to construct these heat-resistant boots is made for high heat resistance. 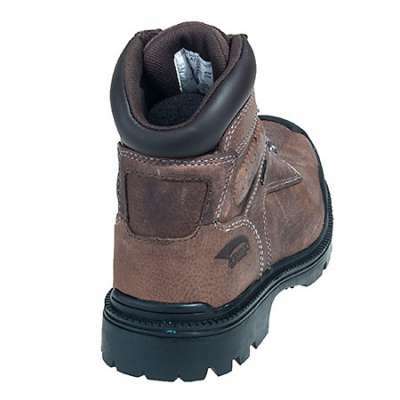 Steel safety toe caps were used for these safety toe boots to protect your feet against painful impact and compression. 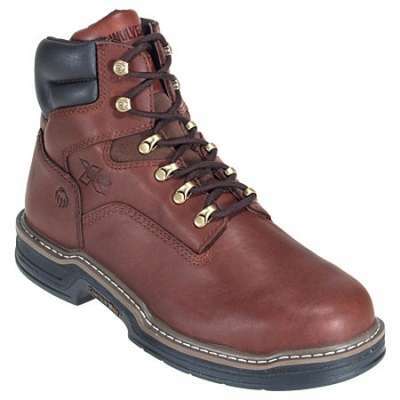 The steel toe boots meet ASTM 2413.05 standards for safety, because you’re only going to get one set of feet. Protect them with EH safety that keeps you from getting hurt around shocking electrical hazards.